ROCKHAMPTON Region workers have flooded Adani's website with job applications for the Carmichael Mine project within days of its construction announcement. 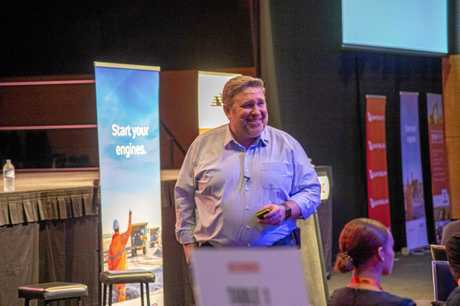 Adani Mining CEO Lucas Dow was delighted with the enthusiastic response from the region, which is one of two employment hubs (Townsville is the other) for the 1500-job project during the initial ramp-up and construction phase. "If evidence was ever needed as to how eager regional Queensland is to see the Carmichael Project proceed, it's demonstrated through the hundreds of requests we've received this weekend following our announcement (Thursday), from regional Queenslanders wanting to work on the Project,” Mr Dow said yesterday in an open letter of thanks to the people of Rockhampton (see Page 13). 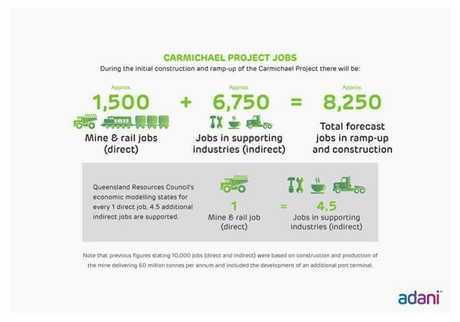 More than 100 of the applications were received from people in the Rockhampton Region, which has been guaranteed its position as a primary source for employees on the Carmichael Project. "I encourage people interested in working on the Carmichael Project to register their interest through the employment and supplier portals that are now live on Adani's website - adaniaustralia.com,” Mr Dow said. "Roles and work packages will be advertised on these portals. 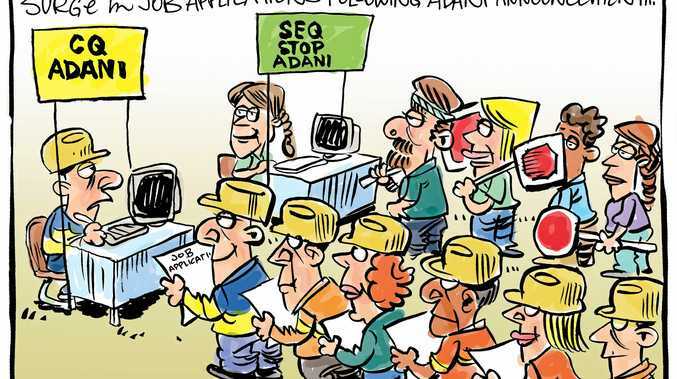 Adani Mining and all its suppliers for the Carmichael Project will have access to these portal sites to help them find the best candidates to deliver the work. Preparatory works at the site were "imminent” as Adani works through the remaining required management plans ahead of coal production. This process is expected to be finalised in the next few weeks. Meanwhile, a new YouGov Galaxy poll conducted for News Queensland showed 44 per cent of 839 participants were opposed to the project, while 38 per cent supported it and one in five voters remained uncommitted. A February poll this year had voters for and against split at 44 per cent each. In a sign of division between city and country, there were more opponents (47 per cent) than supporters (34 per cent) in southeast Queensland, while these numbers were reversed in regional areas, with 47 per cent support and 38 per cent opposition. An Adani spokesperson responded to the poll, saying Adani would continue with its comprehensive community engagement program to inform people about the mine and its progress. Rockhampton Mayor Margaret Strelow also called out a different phone poll on Adani for asking false and misleading questions. "Last week, my husband received a phone poll with one of the questions being 'Do you support the State Government decision to give unlimited water to Adani?' (or words to this effect),” she said in her mayoral column. She said there were almost 270 conditions on the project to protect the natural environment and the interests of landholders and traditional owners. More than 100 of these conditions relate to groundwater. Adani's water licences provide the mine with a volume of water about 1 per cent of what farmers are able to use in the Burdekin catchment now. "Modelling has shown that Adani could take 4550 megalitres of groundwater a year, roughly the amount used each year by a 450ha cane farm in the Lower Burdekin,” she said.